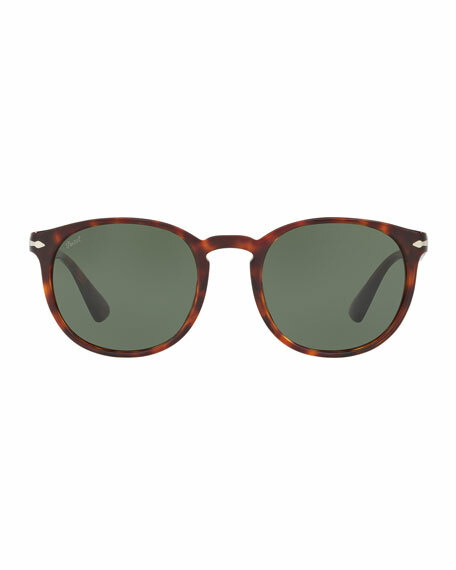 The inspiration for the models in the Galleria '900 collection comes from Persol's 1940s archive. Stylish, sophisticated designs and original acetates for distinctive, exclusive glasses. 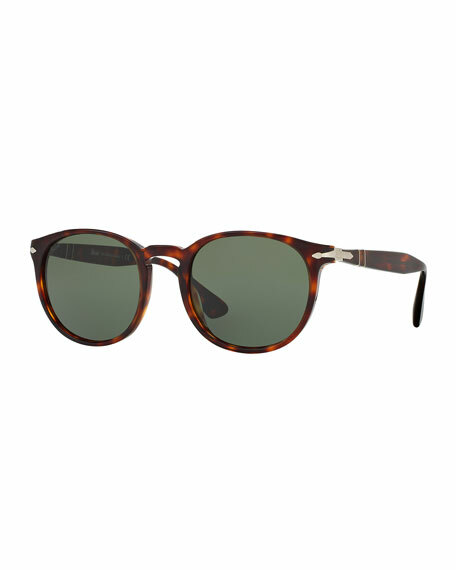 Persol "PO3157S" round phantos sunglasses from the Galleria '900 collection. For in-store inquiries, use sku #2185984.